the best rooms in series I’ve seen so far! Next let’s have a look at the girls bedrooms, I love how they perfectly reflected the girls personalities! Great job! Hanna’s bedroom first, typical girly girl. Everything pink, glamorous sometimes too much- thats what Hanna is like. You can expect always more. Next up, Emily’s bedroom. I love the cosy window seat. Emily is presented as the poor girl of hardworking parents but the style of their home definitely shows more. Spencer is the right opposite of Emily, a rich girl cheap topamax no prescription from well known family of lawyers. I personally dislike this interior. Its too mature for me but it does reflect Spencer’s personality. Next up Aria’s bedroom. 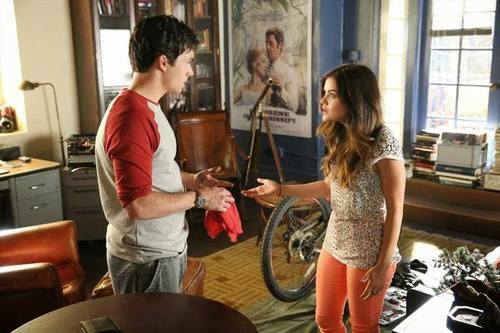 Aria has very distinctive style so has her bedroom. I think the most unique fact here is the that Aria is so random therefore, her bedroom consist of multiple style as well. Mona, is very intelliget but she hide it perfectly under layers of lies. Mona also has very glamorous style similar to Hanna’s but slightly more mature. Last girl, Alison. The dead girl. We only occasionally look up in her room and we don’t know much about the girl apart that she is the most intruded and mysterious girl of all 5. 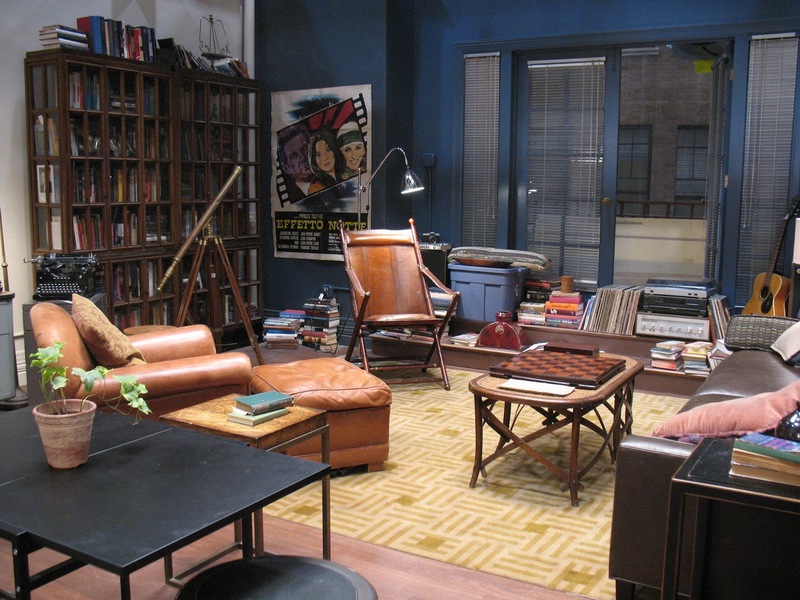 I absolutely love Doctor Ann Sullivan office! So much my style! 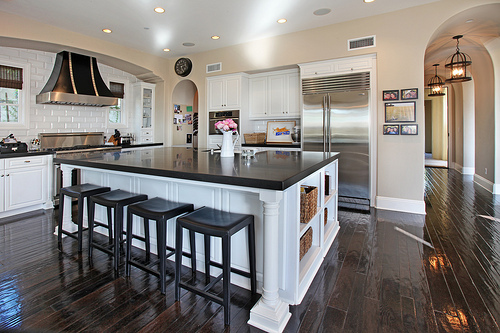 No, let look at few kitchens..Very industrial Spencer Hastings one..
or very elegant and modern of Hanna’s.. There are more & more of course but these are my favourite ones! Do you watch Pretty Little Liars? My top tips for having guests at home this Christmas. The Press Tent Blogger Meet Up! i love that blue in the top colour, although i suspect it would be way too dark for my place. isn't it funny how perfect thes places look on tv? i've always loved carries apartment in SATC. For a studio it's perfect! Emily's room is my favourite! I always get serious envy every time the window seat is in shot! It would be the perfect blogging space! I have never watched pretty little liars. I have always wanted a window seat in my bedroom though! 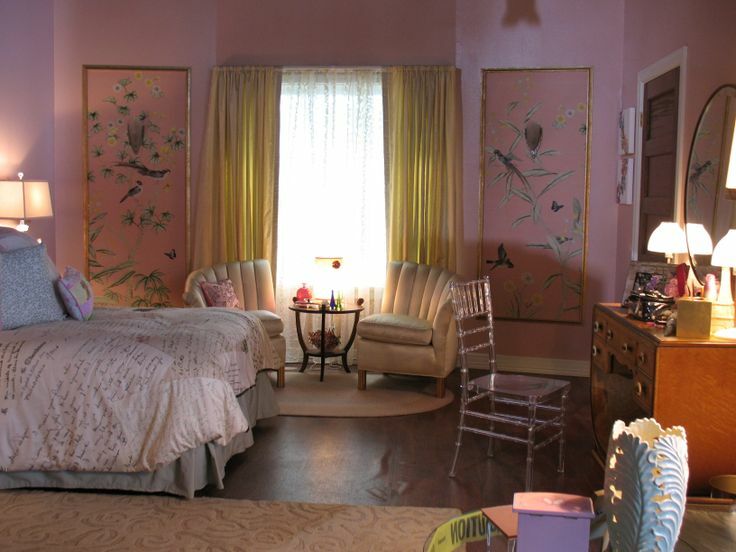 I do love the girls' bedrooms on PLL. I've always wanted a window seat like Emily. I watched a few episodes of this show but I really couldn't get into it. I don't want PLL, I didn't want to get into it as I already binge watch too many shows haha. I love the interiors of a few of the rooms though. I have started watching Pretty Little Liars but I'm only on episode 2. I'm a bit behind! I love pretty little liars so much, there have been days where I have done nothing but watch one episode after another! 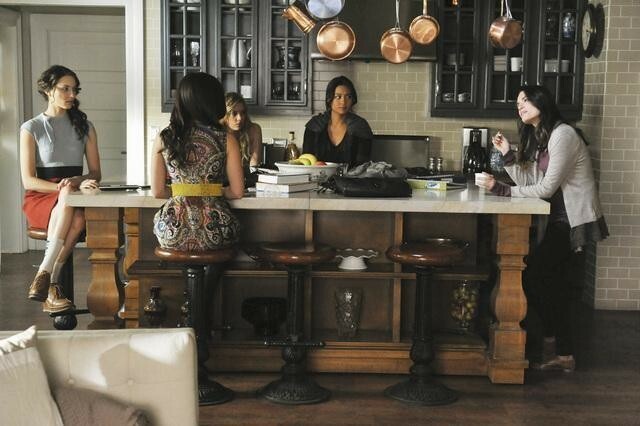 I would love Hanna's kitchen and Mona's bedroom. 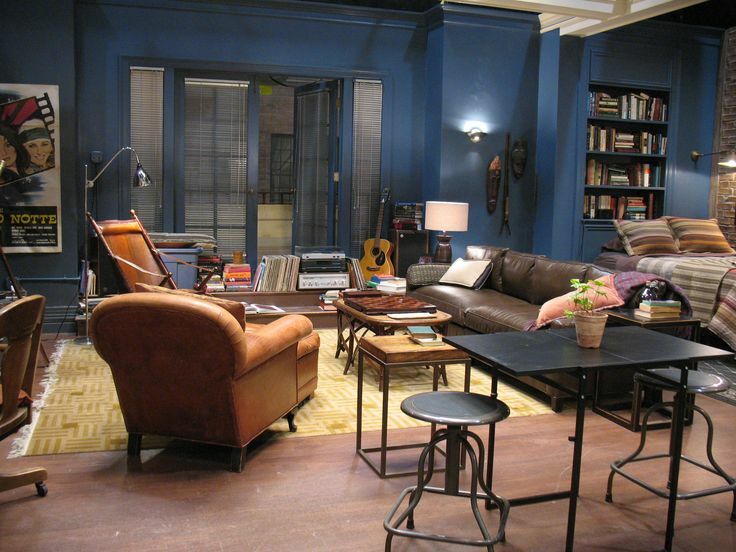 I have never watched the show so can't comment on how clever the set designers have been in matching interiors to characters. Although each of those rooms has at least one element I like none of them inspired me particularly. I love this post! Even since I started watching the show I've been obsessed with Aria's room, it looks so cosy and fun. I've never seen Pretty Little Liars and I am blind so cannot see what the rooms look like, but I lov eyour descriptions! I really need to start watching PLL….I have heard so many good things about it! PLL is an amazing show. Aria's room is my favourite. I have never watched Pretty Little Liars, but I have hear about it. I love the interiors though! Very nice! I have never watched Pretty Little Liars but everyone is talking about it lately! Think I have some catching up to do. I don't watch the show exclusively but I have been known to look over the top of my computer while my teenager is glued to it. I wish I could have liked this show I really do! I watched about 4 episodes and that was it, then I found out who A was and well…can't say I'm exactly inclined to go back and carry on watching now either! Oh well! 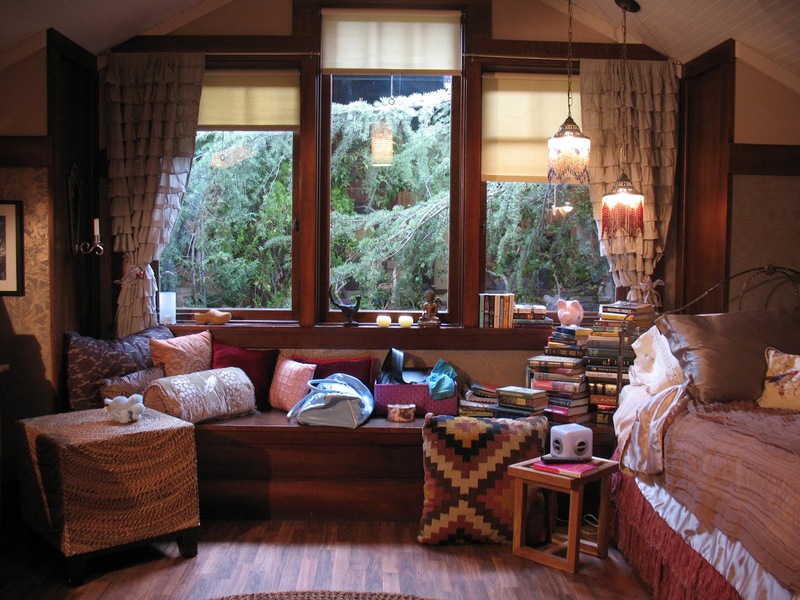 As for the interiors, I love the bedroom with the windowseat! We debated about turning our living room window into a windowseat and I'm still thinking it over, but it's sort of turned into a little indoor garden now haha!